I could easily go a day without makeup among many other things. Obviously. Facial oil however I could not go without. Ever. I vaguely remember when I first started including it in my routines. It quickly became a firm staple. Just one layer brings back the bounce, I even use it instead of a face cream as I feel like it does a better job at moisturising plus my skin looks more supple. Hence, I need it in my skincare. I take longer when applying it giving myself almost a mini facial, this way I find my makeup looks better. I even pat a thin layer of oil when my base begins to look a bit flat and dry half way through the day (I probably should invest in a facial mist). I briefly spoke about this one earlier in my crazy morning skincare routines post. 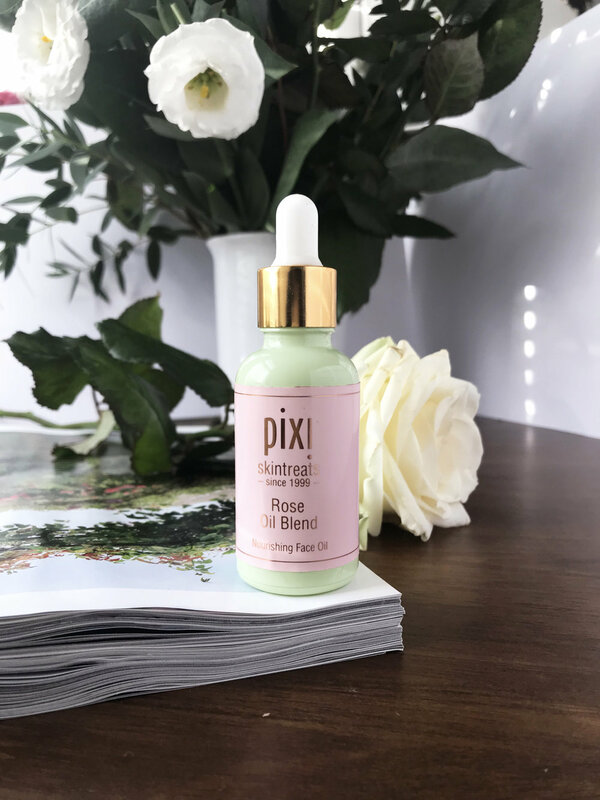 This bottle contains a blend of nourishing oils including almond, rosehip, pomegranate seed, jojoba and rose. It's a great treatment and really beneficial if your skin is lacking moisture and generally isn't in its best condition. I'm loving its silky consistency and how it visibly improves the texture of my skin with each use- it looks more glowy and radiant. It's definitely high up on my skincare holy grails list. This one is a multiple award winner I finally had a chance to try out recently. As the name suggest it's meant to restore, regenerate and replenish. It is pricey but what convince me to make a purchase was the impressive list of ingredients- lots of good stuff, including fatty acids, pure botanicals and essential oils. I apply this every night post serum. It really does make a difference. My skin looks firmer and brighter.